We have recently refurbished, updated and re-equipped our repairs workshop and facilities to enable us to carry out more repair works on the premises. 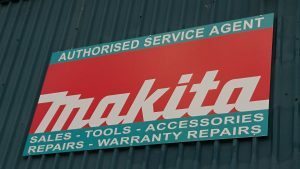 This now includes Makita Warranty Repairs, fully supported by Makita as an approved ASA. Our Technicians are Makita and Paslode Qualified and have attended Training Days with Makita and NTC specialising in the full range of Makita products – including Electric, Gas and Petrol. CALL UNIVERSAL ACCESS & POWER PLANT LTD today – We’ve got everything you need! Click here to email our Repairs team.